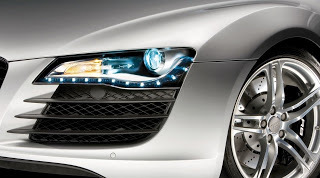 The Feds don’t know what to make of Audi’s new LED headlamps | Zoom Blog 24 . Audi built a better automotive lighting system, known as the matrix beam LED headlamps. Matrix LEDs promise better, more precise lighting for the driver, less blinding light to dazzle oncoming cars, and a kind of mid-beams for roads with only a little traffic. The Matrix lighting technology is ready to go on the 2013 Audi A8 big luxury sedan, but don’t hold your breath if you live in the US — when Audi asked the National Highway Transportation Administration for a ruling, the NHTSA demurred, unsure how to fit the square peg of a variable-output, matrix headlamp array into the round hole they call low and high beams. Never mind that Americans on average are getting older, their eyesight isn’t what it used to be, and they could use better automotive lighting. It’s more likely Audi’s innovation will show up first in Europe, which is more open to the field of intelligent lighting for cars. This is not an unproven or unsafe technology, rather it’s something the NHTSA needs to revisit, soon. Matrix beams are just a start — the NHTSA needs to prepare itself for more new tech. Audi competitors BMW, Mercedes-Benz and Opel are working hard also on the field called smart lighting systems. BMW is even developing laser headlamps. No, not superheated beams arcing pinpricks of light and destruction designed to the zap VWs and Fiats that won’t get out of the passing lane (though we like the sentiment), but white lighting that can be precisely modulated and, unlike death rays, hardly uses any energy. Audi’s matrix lighting, first shown on the Audi A2 concept car (photo below) at the 2011 Frankfurt Auto Show, comprises multiple segments that can be turned on or off as conditions warrant. Some elements could be steerable to help drivers go around corners. Combine it with next-generation GPS and the steerable lamp could swivel before you even begun to turn the wheel. An accompanying multi-function camera watches for oncoming vehicles and has the smarts to tell them from all the lights strung along a used car lot. It also can (in the concept car at least) watch for pedestrians alongside the road. It daytime, it could also be the lane departure warning camera, possibly a forward collision warning camera if the car doesn’t have adaptive cruise control radar. Post-World War II and through the 1980s, Americans were stuck with sealed beam, tungsten-filament headlamps. Their options were one big 7-inch headlamp or two 5.25-inch sealed-beam headlamps on each side. European cars were more likely to have headlamps with lenses to project light along the road but not in the eyes of oncoming cars, replaceable quartz bulbs, and separate fog lamps. All Americans got was an approval for modest sealed-beam halogen units (a slight help in brightness) and rectangular headlamps (about the worst possible design, at the time, for efficient lighting). The Department of Transportation (DOT) looked askance at projector headlamps molded to work with increasingly aerodynamic front ends, and both DOT and Consumer Reportschimed in that custom headlamps would be costlier to replace in a crash (true, and so are steering wheels with airbags) and you couldn’t find replacement units easily (true if you broke the entire unit in a crash, not true of the interchangeable bulb units). Over time, DOT came to see the value of brighter lighting systems and high-intensity discharge (HID) xenon lamp lighting. But it took time. What if regulators aren’t as sharp as the industry they watch over? Now the DOT through the NHTSA needs to address more new lighting technologies, such as matrix headlamps. It might have seen them coming if it absorbed the technical journals and paid attention at engineering conferences. It’s hard for government to compete for the best engineering, technical, and legal talent when there are no lofty salaries or stock options, only good medical plans. It’s an issue in the patent and copyright offices, when aggressive companies get monopoly patent protection from so-so examiners on something the courts later decide was prior art. It’s an issue when DOT writes rules that say “no movies playing in the front seat” when really they should say “no movies playing in the front seat that the driver can see” because they didn’t know about the Sharp Dual View display that shows the driver one image and the passenger a second. So far only a handful of automakers have it, led by Mercedes-Benz with their SplitView system. When government is uncertain about a new product or technology, it often chooses to move cautiously. That’s good if it’s a prescription acne drug that might cause cancer. With car lighting, the benefits (fewer accidents) probably outweigh the drawbacks. Eventually, Audi will get the headlamps approved. Just not at the speed of light. 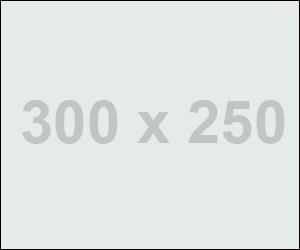 My Blogger Tricks 21 Φεβρουαρίου 2013 - 3:27 π.μ. Microsoft’s Surface Mini: Will it run Windows 8, or Windows Phone 8?